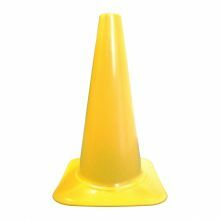 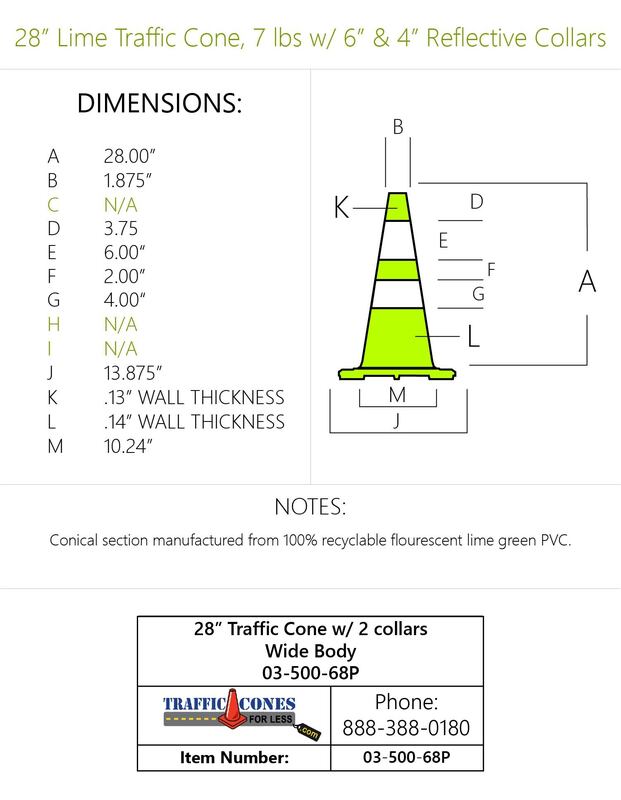 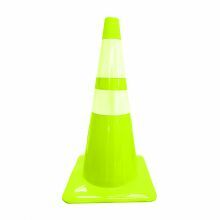 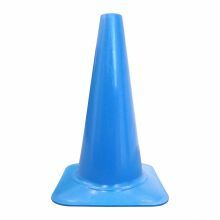 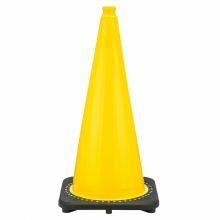 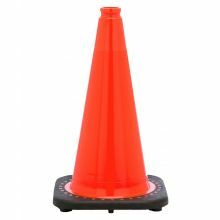 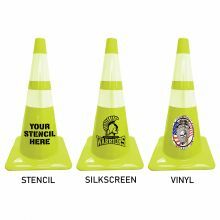 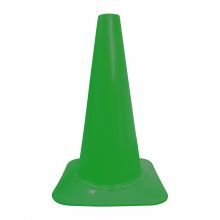 Green PVC 28" 7 lbs Traffic Cone w/ 6" & 4" collars. 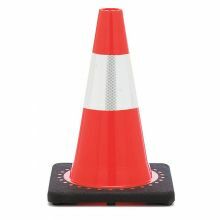 Re-route traffic as needed. 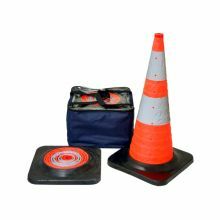 Durable PVC. 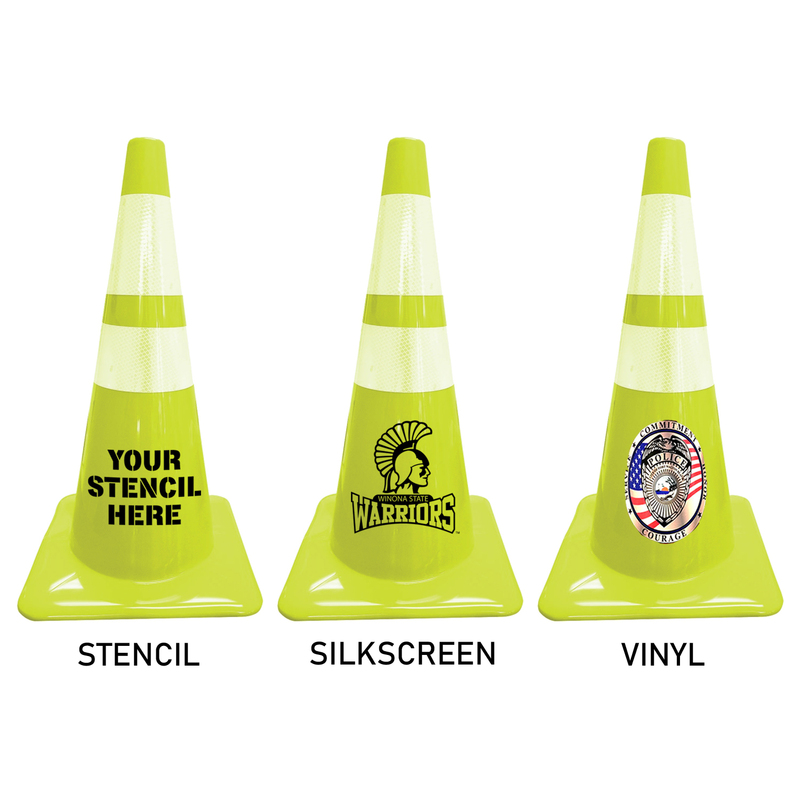 Use indoors or out. 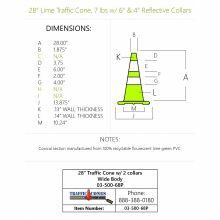 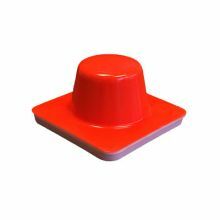 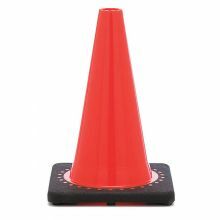 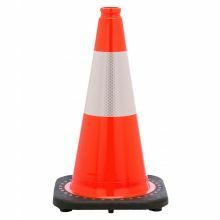 Highly visible 3M recessed reflective collars won't peel off when stacking cones. 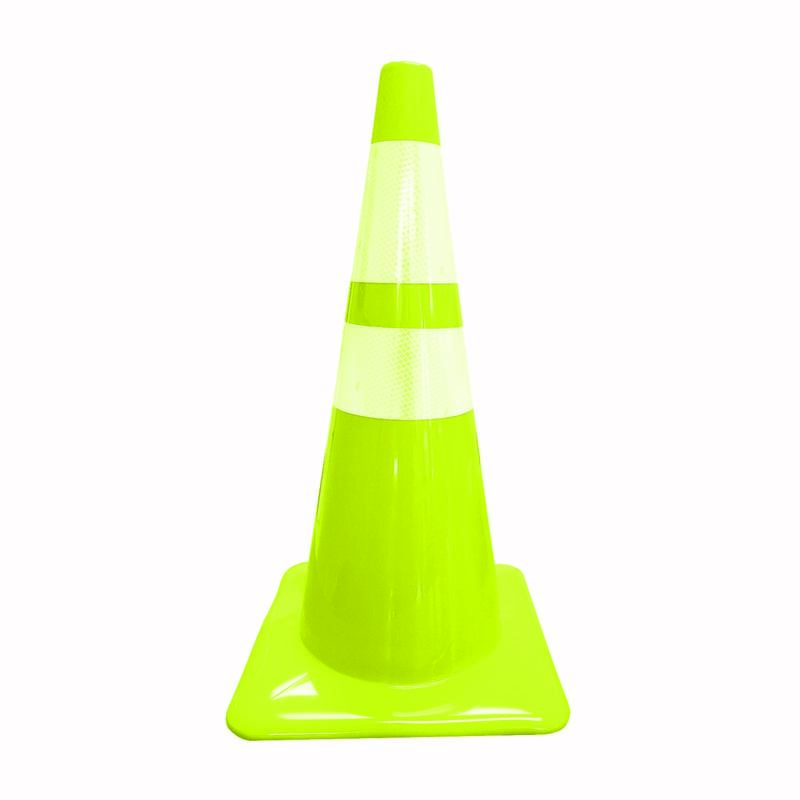 Meets MUTCD nighttime requirements.